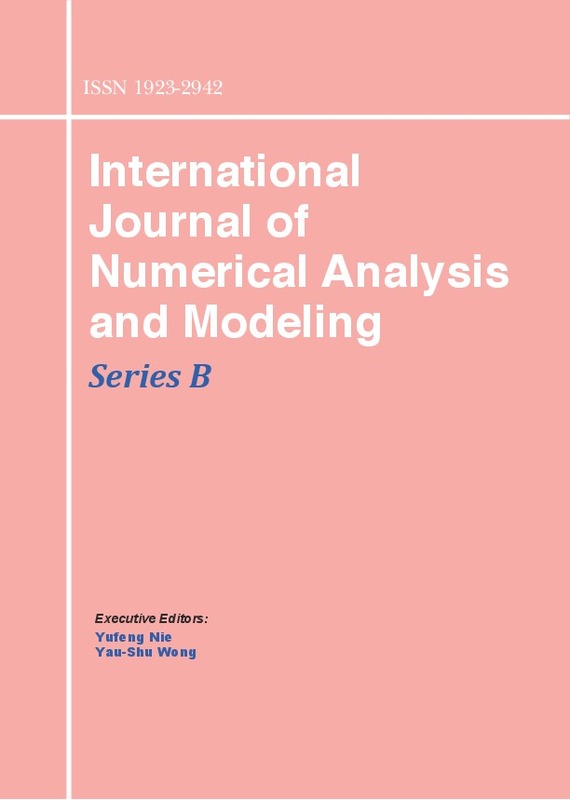 The International Journal of Numerical Analysis & Modeling - Series B is a journal of interdisciplinary nature, and publishes papers on computational techniques, mathematical methods and models for problems arising in all areas of science, engineering, medicine and finance. Articles which demonstrate novel mathematical models for the realistic and accurate representation of biological, physical and economic systems are solicited, as well as new mathematical techniques and numerical algorithms leading to significant improvements over methods currently used to solve real practical problems. The journal aims to provide a broad communication platform to promote and increase synergy between mathematicians, engineers and researchers working on problems from the natural sciences, engineering, life sciences, financial mathematics or any other application area. IJNAM-B stopped publication new papers in 2015.